Quitting Cold Turkey - Don't be Scared - Give it a Try! I still believe quitting smoking "cold turkey" is the best way to quit smoking and to remain an ex-smoker. 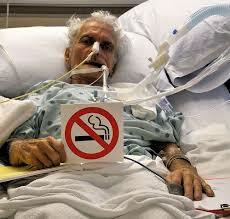 If you really want to be free of nicotine addiction then you need to stop smoking and stop using nicotine. Above all - only you know you -you know your strengths and your weaknesses, you know that the only thing preventing you from quitting is fear. You are so scared you will not be happy as a non-smoker. So ask yourself this question - "Are you happy as a smoker?" I think if you were really happy as a smoker you would not be searching for a way to quit and constantly thinking about giving up smoking. If (like me) you have tried all the quit smoking methods and stop smoking programs and you are constantly losing the battle with the nicotine monster then now is the time to quit cold turkey. Stop making excuses - the one I hear most is "there is too much stress in my life at the moment" - Guess what? Non-smokers deal with stress too but they do it without a cigarette. If you are battling stress there is a fantastic website called Stress-Relief-Workshop.com which will help you discover how stress could be affecting your life and how to manage it using techniques and coping strategies on a daily basis to improve health and lifestyle. The image below makes me feel anxious and stressed - if you quit smoking you won't have to stress about ending up like this poor man. So, here we go. Let's quit cold turkey! First, think of all the times that you don't enjoy a cigarette - for example; I did not like having a smoke while drinking either a glass of milk or an orange juice but loved a cigarette with a cup of coffee or tea or with alcohol. Plan ahead and make a pact to only do the things that don't go well with smoking. I thought about places and events that I would normally love to smoke and decided that I would have to avoid them - and please, please remember - it's not forever - it is just while you are quitting. There will be a time in the not too distant future where you can do anything and go anywhere and not have to worry about smoking or not smoking - it's called freedom! Most importantly - choose a date. Don't start making excuses that mean your date is getting further into next year! Be realistic if you read "My Story" I talk about quitting cold turkey and importance of choosing a date and focusing on that date. Don't dread the date - embrace it and look forward to it! My date was about 3 months into the future and I made preparations for that date and by the time it got really close I couldn't wait to quit smoking because I was sick and tired of thinking about quitting. If you keep coming up with excuses for not quitting or setting a date it is the "fear" rising up again. 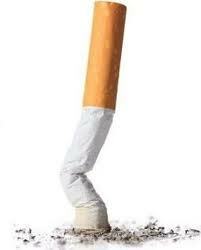 I felt it too but you have to believe that it is okay living as a non-smoker in fact it is fantastic! As your date approaches make sure you have just enough cigarettes to make it through and that you have made preparations for that day. When you make the decision to quit cold turkey you might have to consider avoiding people who rub you up the wrong way or who are life's "enablers" unfortunately they do exist. Make sure you have told family and friends about the date you have set and ignore them if they are not encouraging. Smokers will be envious and will start saying things like "I love smoking too much to quit" or they will set you up for failure before you even start. Remember: most smokers are secretly wishing they could quit! Prepare a healthy substitute for your cigarettes I made the mistake of replacing my smokes with peanut M & M's and gained 10 kilos! You will put on weight but it easier to lose 2 kilos rather than 10. Carry a bag of nuts and dried fruit around with you and carry some mints and relish in the fact that you smell great and so does your breath! Last bit of advice I can give you - DO NOT take so much as one puff of a cigarette! I cannot stress this enough - it will start you right back at the beginning - I mean it - just as the nicotine monster is about to die you resurrect it with one puff! When I think back over all the attempts I had at quitting smoking I would just get to that point where you think you are just going to die from the pain of nicotine withdrawal and someone offers you a drag on their cigarette and it's all over - right back to square one. Go for it! Quitting cold turkey is the only way to go. 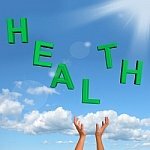 Return from "Cold Turkey" to "How to Quit Smoking"